Manufacturer of a wide range of products which include temperature calibration and pressure transmitter. We are a coveted business organization engaged in manufacturing, supplying, trading and exporting Temperature Calibration. These devices are portable precision thermometers. Available in different specifications ranging from temperatures, these devices are widely acknowledged in the market. Demanded by different industries, these devices are known for their features like minimal maintenance, high performance and longer service life. 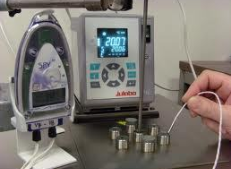 The Temperature Calibration manufactured by us is rigorously tested before delivering to the customers' premises. Since inception, we are engaged in facilitating our customers by bringing forth Pressure Transmitter. 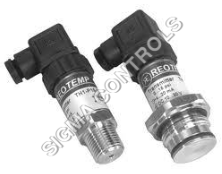 Extensively demanded for pressure measurement of water, oil, mild corrosive liquid and gas, these transmitters are high in efficiency and s installed with pressure gauges, transmitters and switches. Acts as a transducer, these transmitters can also be used to measure variables such as fluid/gas flow, speed, water level and altitude indirectly. Manufactured using stainless steel, the Pressure Transmitter offered by us can be assembled to diaphragm seals for special applications. Pressure Transmitters are available with + 0.25% Accuracy and + 0.1% Accuracy. CTX-CTL Pressure Transmitter for OEM Application.